28 Studio that can accommodate up to 3 people. 20 from the studio can be transformed into family rooms. 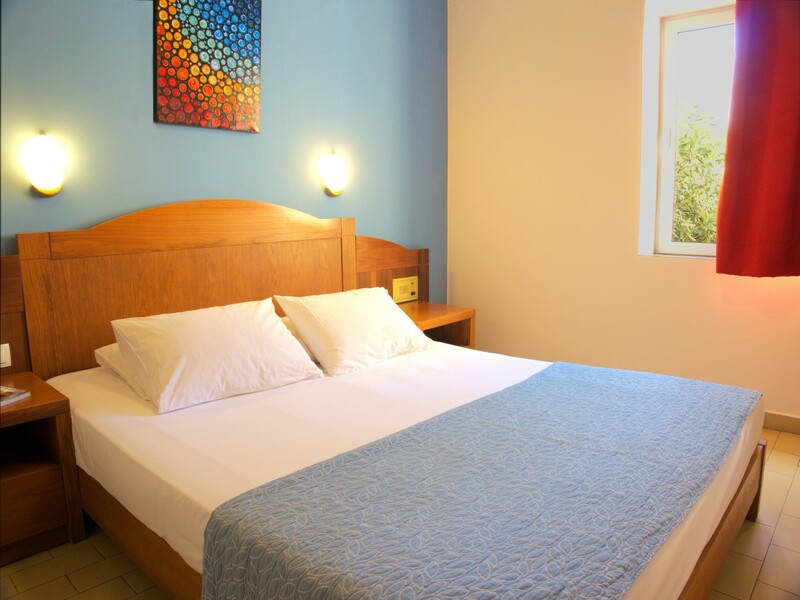 Please select below the preferred room type to see the availability calendar and rates. 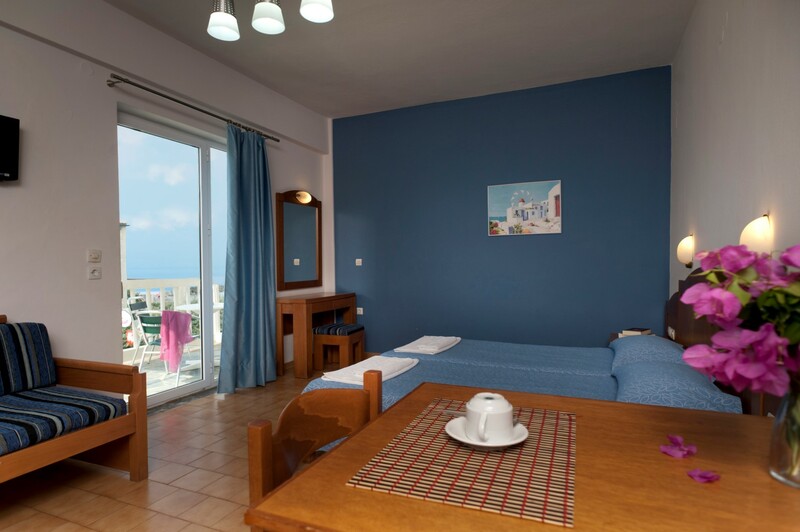 The studio with sea view has a kitchen, a dining area and either twin beds or a double bed in an open space. 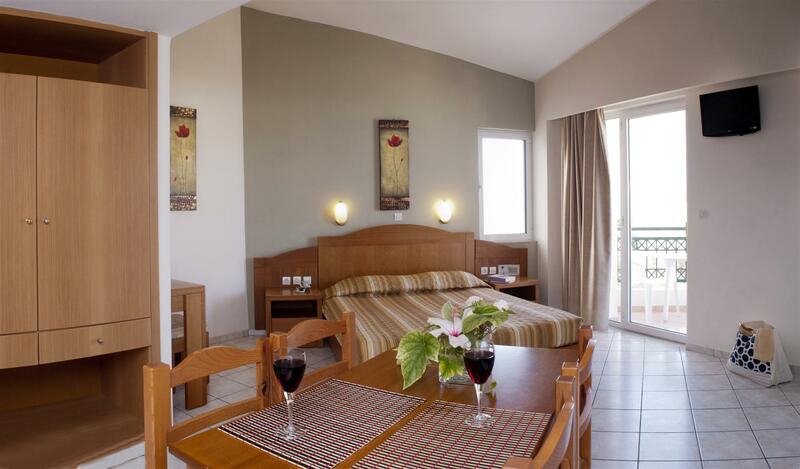 The apartment with sea view has double or twin beds in a separate bedroom and two twin beds in the open kitchen-dining room. The maisonette has a kitchen, dining room and double bed downstairs and two twin beds upstairs. Rooftop of the hotel and can accommodate up to 4 people.